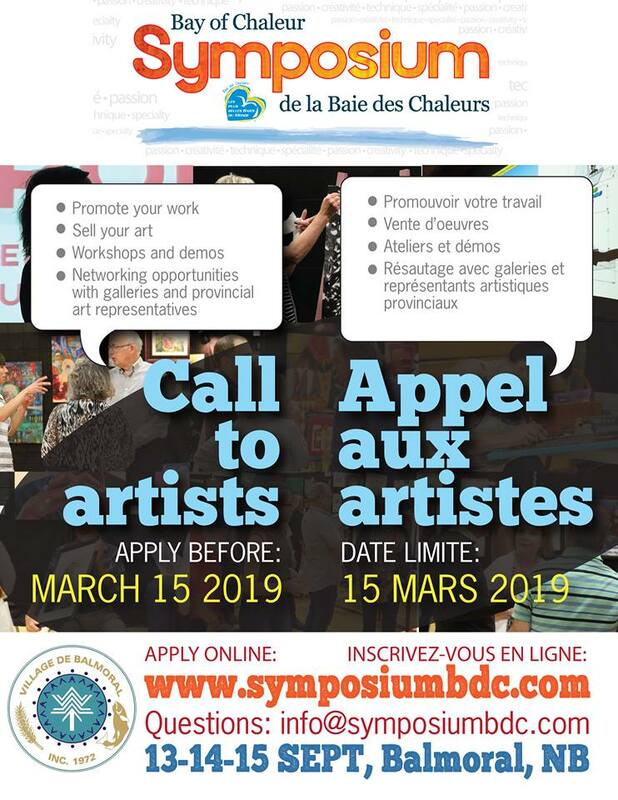 We are pleased to announce that the Village of Balmoral is the host for Symposium BDC 2019. The Symposium will be held at La Mosaïque du Nord school, 385 des Pionniers Avenue. Symposium dates are September 13, 14, and 15, with artists set-up on Thursday, September 12 at 5pm. Artists, please note that applications are now closed. We will send the jurying results in late April and the selected artists will have until May 31 to complete their registration.